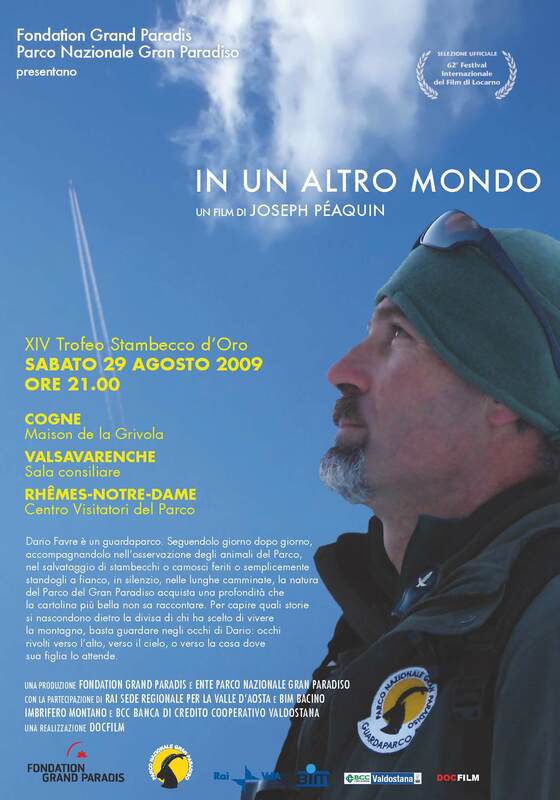 "In another world" is a documentary about the activity as a ranger of the Gran Paradiso National Park , co-produced by Fondation Grand Paradis and the Gran Paradiso National Park body, supported by RAI Aosta Valley, BIM "Bacino Imbrifero Montano" and BCC "Banca di Credito Cooperativo Valdostana", realised by Joseph Péaquin. 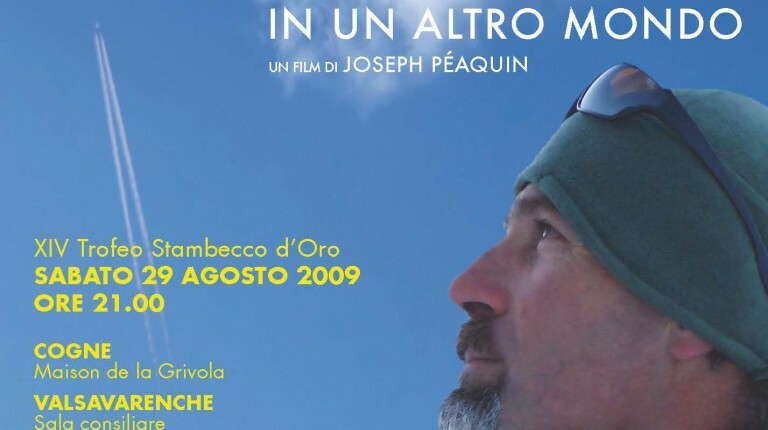 The film was officially presented to the public as a world premiere on Saturday 8 August 2009, during the 62 Locarno International Film Festival. Dario Favre is a Park ranger. 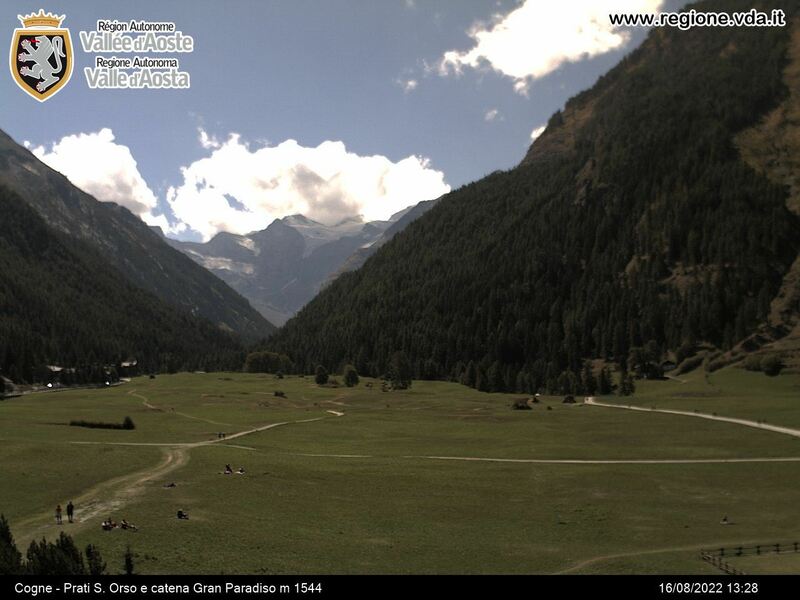 Following him day after day, staying with him while he observes the animals of the Park, while he rescues wounded ibex and chamois, or simply standing beside him, in silence, during his long walks, the Gran Paradiso nature acquires an untold intensity. Behind the uniform of him who chose to live the mountain, lay stories that can be revealed just gazing at Dario's eyes: eyes looking upwards, at the sky, or homewards, where his daughter waits for him.